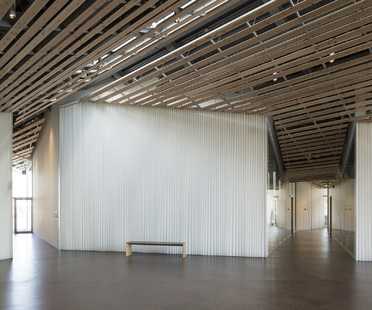 Hiroshi Nakamura & NAP use the traditional “gassho” structure in their Sayama Forest Chapel project: a steeply sloped roof inspired by the shape of praying hands. 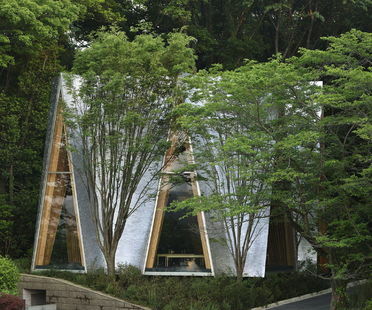 Nakamura & NAP’s Sayama Forest Chapel is located in Tokyo’s biggest water reserve. After winning a competition organised by the municipality of Towada, Kengo Kuma built Towada City Plaza with the intention of attracting interest and attention back to the centre of the Japanese city. Kengo Kuma’s Towada City Plaza project is already famous for its wooden playground inspired by the hilly landscape. How Japanese architecture has changed since the days of Arata Isozaki, Tadao Ando and Kazuyo Sejima. 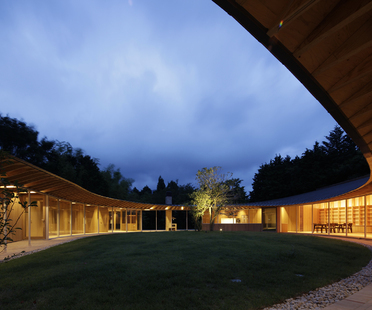 From Shigeru Ban to Hosaka Takeshi, the nature of the home in Japan. What to see in Japan: a voyage in discovery of the most interesting city homes. 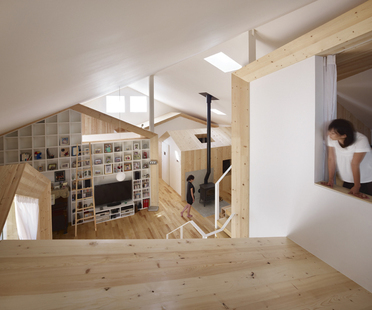 Tetsuo Kondo Architects, a young Tokyo architectural studio, designed the House in Chayagasaka, Aichi (Japan). Tetsuo Kondo’s House in Chayagasaka expresses a new concept of dwelling in which spaces not only have no clear boundaries but intersect, forming a single space for all shared activities. 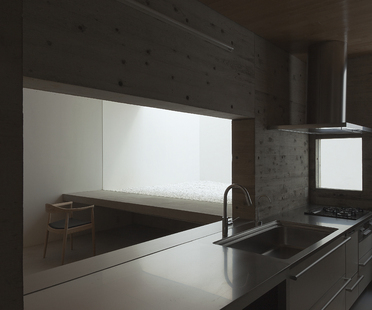 Takuro Yamamoto has designed a home in Kanazawa, a Japanese city renowned for its copious snowfalls and piercing cold. 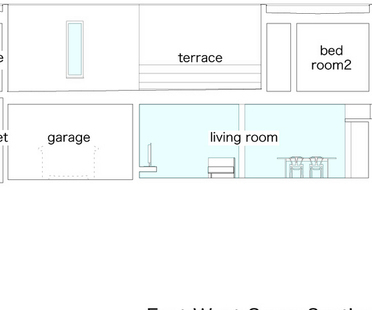 An L-shaped white cave is carved out of the volume of the home to shelter the path from the snow and ensure privacy. Shigeru Ban designed the villa in Sengokubara in the style of Japanese contemporary architecture. The home is made entirely out of wood, a material the architect is particularly fond of, and its form takes advantage of the site’s flagpole shape. The home is closed off from its surroundings, with the rooms arranged in a radial manner around the interior courtyard. 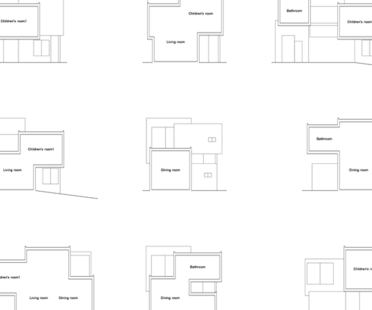 Michiya Tsukano’s residential project, which won a special mention in Floornature’s 2013 Next Landmark International Architecture Contest, underlines the clear distinction between the interior of the home and the city outside. The outdoor space is completely redesigned within the walls, shutting out all visual and acoustic elements that could disturb the inhabitants of the home in this inhospitable city landscape.